For those of you that didn't get the email from Dr. Chris Boos and are planning on attending the excellent heart failure meeting, it is essential that you register. The meeting will form the April training day, but spaces are limited and allocated on a first come, first served basis. The closing date is 6th February 2011. 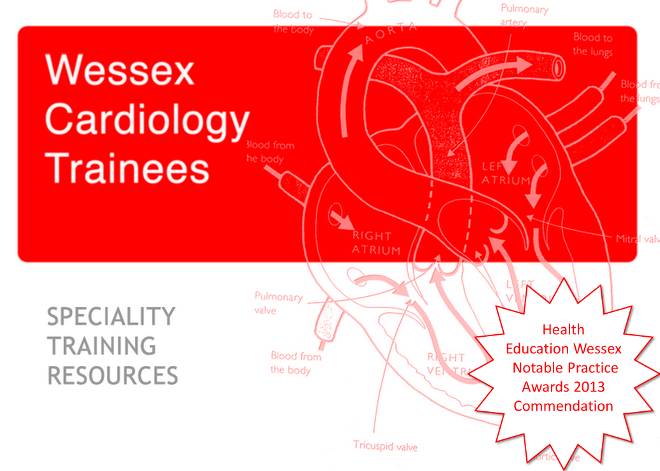 Welcome to the Wessex cardiology trainees blog. This site serves as a portal for information from the Deanery, BCS and affiliates, BJCA, SAC, STC and all the other initialisms that handle us! Use the link below to subscribe. I'll also automatically send you posts if you are on the current trainees list. If you have any questions, please use the form below to e-mail me. Page content and design James Rosengarten. Theme images by merrymoonmary. Powered by Blogger.